"Beyond the texts by Rawls cited above, readers may wish to consult Rawls's lectures on Hume, Leibniz, Kant, and Hegel (LHMP) and on Hobbes, Locke, Hume, Mill, Marx, Sidgwick, and Butler (LHPP) to see how Rawls's interpretations of these authors informed his own theorizing. Reath, Herman, and Korsgaard (1997) is a collection of essays by Rawls's students on his work in the history of philosophy. Students wanting a clear guide to A Theory of Justice may wish to read Lovett (2011), or (more advanced) Mandle (2009). Voice (2011) gives an outline-style summary of Rawls's three main books that is accessible to those with some undergraduate philosophical training. Mandle and Reidy (2014) offers an alphabetized list of short entries, from Abortion to Maximin to Wittgenstein, of important concepts, issues, influences and critics. Freeman (2007) sets out in a single volume the historical development of Rawls's theories, as well as sympathetic elaborations of many of his central arguments. Pogge (2007) is a rigorous examination of Rawls's domestic theories, which also contains a biographical sketch and brief replies to libertarian and communitarian critics (for which see also Pogge (1989)). Maffettone (2011) and Audard (2007) are critical introductions to Rawls's three major works. Moon (2014) offers an original reinterpretation of the Rawlsian project. Mandle and Reidy (2013) is the most important recent collection of scholarly essays, spanning a wide range of issues arising from Rawls's work. Freeman (2003) is a collection of mostly friendly articles on major themes in Rawls's domestic theories; it also contains an introductory overview of all of Rawls's work. Young (2016) is a selection of more critical articles. Historically, the most influential volume of essays on justice as fairness has been Daniels (1975). Brooks and Nussbaum (2015) presents incisive recent articles on Rawls's political liberalism. Older collections on political liberalism include Davion and Wolf (1999), Griffin and Solum (1994) and Lloyd (1994). Martin and Reidy (2006) focuses on the law of peoples. Hinton (2015) is a volume of articles by leading scholars on the original position. Abbey (2013) is an edited volume on feminist interpretations of Rawls's work. Bailey and Gentile (2014) is an important anthology of articles that explore how extensively religious believers can engage in the political life of a Rawlsian society. Fleming (2004) is a symposium on Rawls and the law. O'Neill and Williamson (2012) contains many significant essays on the institutional design of Rawls's preferred polity, the property-owning democracy. Readers who can gain access (usually through a library) to Kukathas (2003, 4 volumes) or Richardson and Weithman (1999, 5 volumes) will find many of the most important critical articles on Rawls's work, divided according to specific themes (e.g., maximin reasoning, public reason) and types of criticisms (e.g., conservative critiques, feminist critiques). Readers without access to the Richardson and Weithman volumes can follow the links [volume 1, volume 2, volume 3, volume 4, volume 5] to their tables of contents and can then locate the articles desired in their original places of publication." 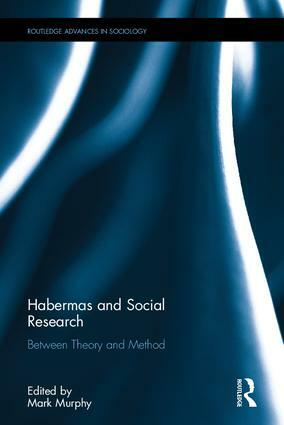 Habermas and Law makes accessible the most important essays in English that deal with the application to law of the work of major philosophers for whom law was not a main concern. It encompasses not only what these philosophers had to say about law but also brings together essays which consider those aspects of the work of major philosophers which bear on our interpretation and assessment of current law and legal theory. Hugh Baxter is Professor of Law and Philosophy at Boston University. He is the author of "Habermas: The Discourse Theory of Law and Democracy" (Stanford University Press, 2011). See a symposium discussion on Baxter's book here. Parfit discusses these theories partly by commenting on the views of some of the contributors to Peter Singer's collection Does Anything Really Matter? Parfit on Objectivity (Oxford University Press, 2017). Derek Parfit died on January 1, 2017. He was a Senior Research Fellow at All Souls College, Oxford. He was the author of "Reasons and Persons" (Oxford University Press, 1984), and "On What Matters" Volume One and Volume Two (Oxford University Press, 2011). * "Personal and Omnipersonal Duties" (The Harvard Review of Philosophy, 2016). See also Larissa MacFarquhar's portrait of Derek Parfit in "The New Yorker" September 2011: "How to be Good". 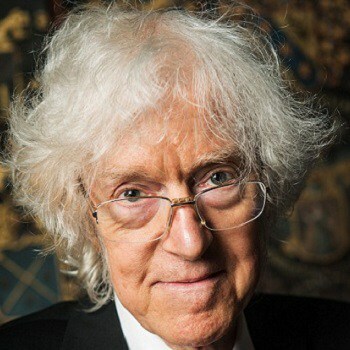 In the first two volumes of On What Matters Derek Parfit argues that there are objective moral truths, and other normative truths about what we have reasons to believe, and to want, and to do. He thus challenges a view of the role of reason in action that can be traced back to David Hume, and is widely assumed to be correct, not only by philosophers but also by economists. In defending his view, Parfit argues that if there are no objective normative truths, nihilism follows, and nothing matters. He criticizes, often forcefully, many leading contemporary philosophers working on the nature of ethics, including Simon Blackburn, Stephen Darwall, Allen Gibbard, Frank Jackson, Peter Railton, Mark Schroeder, Michael Smith, and Sharon Street. Does Anything Really Matter? 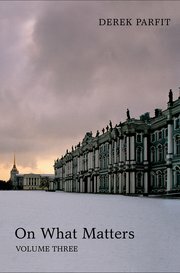 gives these philosophers an opportunity to respond to Parfit's criticisms, and includes essays on Parfit's views by Richard Chappell, Andrew Huddleston, Katarzyna de Lazari-Radek and Peter Singer, Bruce Russell, and Larry Temkin. 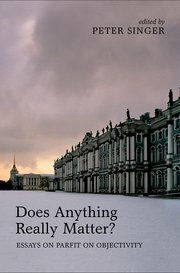 A third volume of On What Matters, in which Parfit engages with his critics and breaks new ground in finding significant agreement between his own views and theirs, is appearing as a separate companion volume.